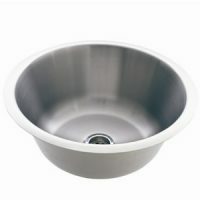 Improve the functionality of your kitchen with these Squareline/NuGleam Top Mount Sink Accessories offered by Everhard. Designed to be used with the Squareline and the Nugleam top mount sinks, (780, 980, 1080 and 1180 sizes.) these sink accessories will definitely make your kitchen more practical. Included in the sink accessories is a wooden preparation cutting board, which makes chopping of vegetables a much simpler task. 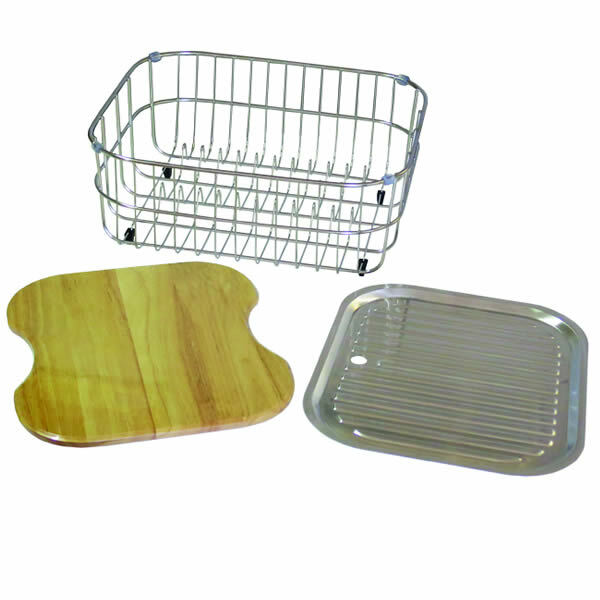 A stainless steel draining tray is also included, which can be used to easily wash your kitchenware and vegetables without worrying about water clogging up the sink, while the wire draining basket will make cleaning a much simpler task. Everhard is known to manufacture high-quality products and these Squareline/NuGleam Top Mount Sink Accessories are no different. Each item is designed to the finest standards of quality and will withstand many years of usage. Everhard backs these kitchen sink accessories with a solid 1 year guarantee. Add these kitchen sink accessories to your kitchen sink to enjoy a more practical cleaning experience. 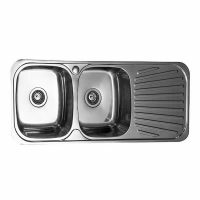 But the Everhard Squareline/NuGleam Top Mount Sink Accessories set at the lowest possible price – only from Ross’s Discount Home Centre! The Squareline / Nugleam Top Mount Sink Accessories suit all Squareline and Nugleam Top Mount Series Sinks such as the Squareline, Nugleam 780, 980, 1080 and 1180 sizes.